This post about the Nordstrom November 2018 sale weekend contains affiliate links. Please read this blog’s disclosure post for more info. Has your holiday shopping tilted into full swing yet? If so or if not, the last day of the Nordstrom November 2018 sale weekend is here to help! I found plenty of delights in this sale which features markdowns up to 40% off. There are things I already own and love in this sale, like the very sleek Kira Perforated Leather Clutch (now $307) and the on-trend Small Love Leather Crossbody Bag (now $117). I’m realizing I don’t wear that bag nearly enough in my OOTDs! (I will have to fix that!!) I also own, love, and highly recommend the Crashing Waves Pullover ($90) as well as the Fluffy Sweater (now $104). Both belie their oversized look with flattering fits. They’re two of many Free People items that made the sale. 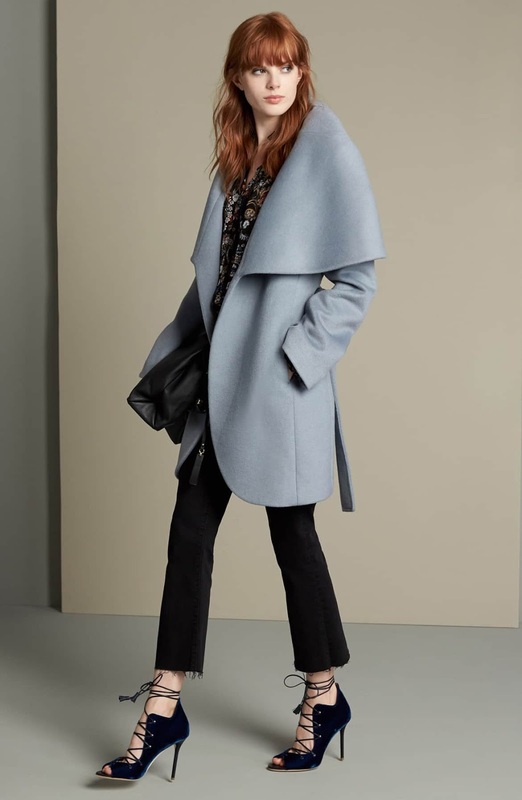 Taking a look through the Nordstrom November 2018 sale weekend I’m delighted by how many current-season items there are, like boots, sweaters and of course coats. It’s also interesting to see how many other stores are now stocking their goods at Nordstrom. For example the Lou & Grey Loop Stripe Sweater (now $42, above) is originally by Lou & Grey parent company LOFT. Madewell’s Denim Daylily Dress (now $65) is one of several Madewell items that made the Nordstrom November 2018 sale weekend, and J. Crew items like the Supersoft Yarn V-Neck Sweater (now $65). More of our favorite brands made this sale. I’ve got my eye on this varsity-striped Milly sweater, this work-ready Ted Baker dress, this chic Tory Burch watch, and this casual perfect Vince Camuto striped sweater. I’m heavily leaning towards ordering the Ancel Silk One-Shoulder Dress (now $357) and the Panton Necklace (now $35) for a Christmas fundraiser I’ll be attending in two weeks. 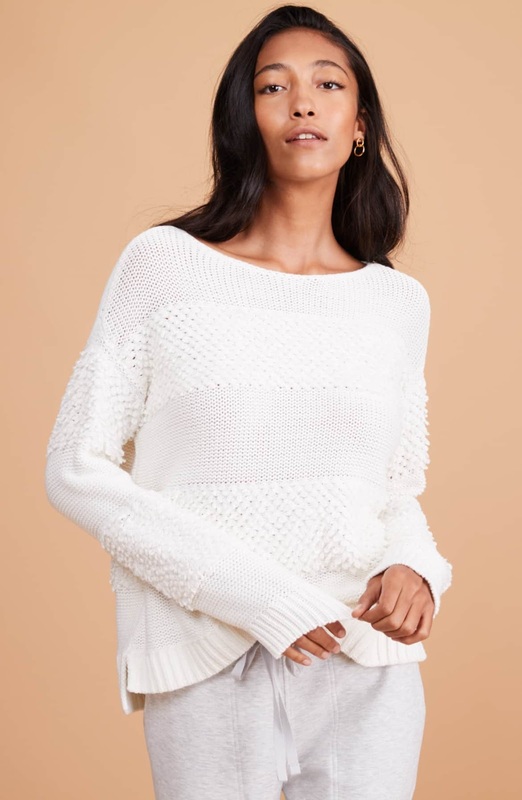 In addition to cute clothing, there are plenty of cute accessories in the last day of the Nordstrom November 2018 sale weekend. I’ve gone through all 180+ pages of sale to pick out the best items worth getting + gifting before the sale ends tonight. What do you want from this Nordstrom sale? Next Post Shop the Madewell 2018 Black Friday promo and more early!! The Jeffrey Campbell perforated mules are~$86 now, which is cheaper than Norfiesprevious of ~$100. Anthro has them at full price still unfortunately Nordies doesn’t have black.